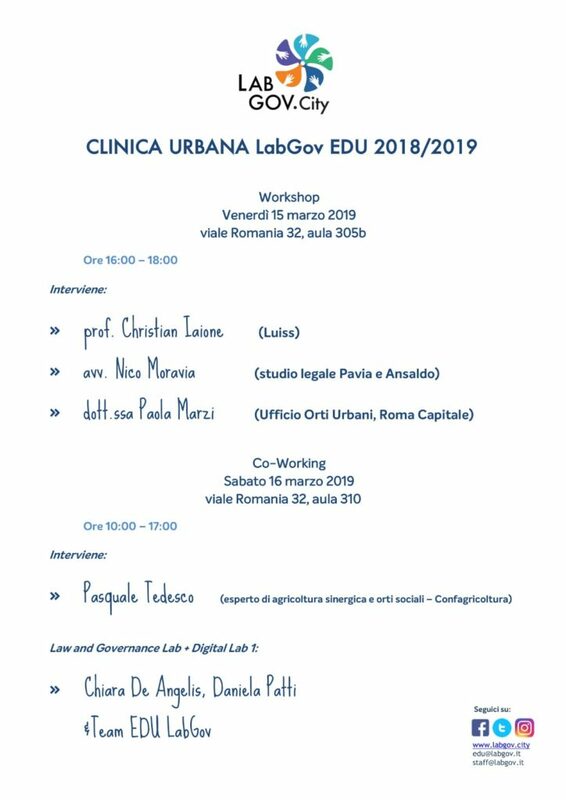 Save the date: on 15th and 16th March will take place the third weekend of the EDU@LabGov Urban Clinic in Luiss Guido Carli University! Friday 15th March from 16pm to 18pm in the Luiss Campus, we will host a lecture of professor Christian Iaione about Urban Law and Policy, and we will hear the testimony of lawyer Nico Maravia from law firm Pavia & Ansaldo and of the dr. Paola Marzi from the Municipality of Rome, who will speak about the Regulation on the urban gardens that she wrote for the Municipality of Rome. Saturday 16th march from 10am to 17pm, will be held the third session of co-working. It will be divided into two part. First, we will hear Pasquale Tedesco’s experience: he is an expert in environmental sustainability, sustainable and synergic agriculture and in the field of urban and social gardens. In the second part of co-working the EDU LabGov team, thanks to the guide of Chiara De Angelis and Daniela Patti, we will speak about the process of design focusing on the user journey maps.  In this way, the LabGovers will analyze all the passages of their project, they will answer to the needs of the ‘personas’ (the users object of their project) and they will define the various sections and the categories of contents of the platform that they are developing. The next meetings are very important in order to complete and improve the idea that it is taking form more and more.